Judith Resnik is the Arthur Liman Professor of Law at Yale Law School, where she teaches about federalism, procedure, courts, prisons, equality, and citizenship. Judith Resnik is the Arthur Liman Professor of Law at Yale Law School, where she teaches about federalism, procedure, courts, prisons, equality, and citizenship. Her scholarship focuses on the impact of democracy on government services, from courts and prisons to post offices, on the relationships of states to citizens and non-citizens, on the forms and norms of federalism, and on equality and gender. Professor Resnik's books include Representing Justice: Invention, Controversy, and Rights in City-States and Democratic Courtrooms (with Dennis Curtis, Yale University Press, 2011); Federal Courts Stories (co-edited with Vicki C. Jackson, Foundation Press, 2010); and Migrations and Mobilities: Citizenship, Borders, and Gender (co-edited with Seyla Benhabib, NYU, 2009). In 2014, Resnik was the co-editor (with Linda Greenhouse) of the Daedalus volume, The Invention of Courts. Recent book chapters and articles include Accommodations, Discounts, and Displacement: The Variability of Rights as a Norm of Federalism(s) (Jus Politicum, 2017); Bordering by Law: The Migration of Law, Crimes, Sovereignty, and the Mail, in Nomos LVII: Immigration, Emigration, and Migration (2017); Revising Our “Common Intellectual Heritage” (Notre Dame Law Review, 2016); Constructing the “Foreign:” American Law’s Relationship to Non-Domestic Sources, in Courts and Comparative Law (2015); and Diffusing Disputes: The Public in the Private of Arbitration, the Private in Courts, and the Erasure of Rights (Yale Law Journal, 2015). Professor Resnik now chairs Yale Law School’s Global Constitutional Law Seminar, a part of the Gruber Program on Global Justice and Women’s Rights. She is the editor of the volumes, published as e-books, from 2012 forward, including Reconstituting Constitutional Orders (2017), and The Reach of Rights (2015). 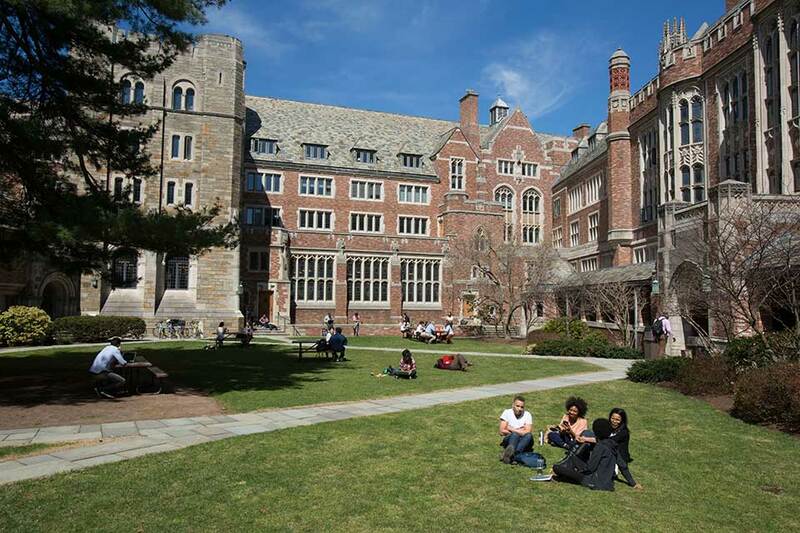 Professor Resnik is the founding director of Yale's Arthur Liman Center for Public Interest Law, supporting fellowships for law graduates and summer fellowships for students at Barnard, Brown, Bryn Mawr, Harvard, Princeton, Spelman, Stanford, and Yale. The Liman Center sponsors colloquia and seminars on the civil and criminal justice systems. 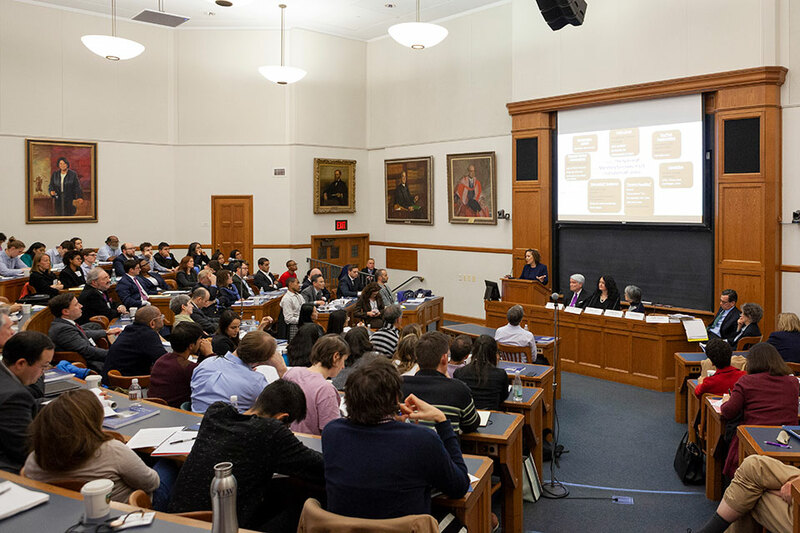 From its inception in 1997 through 2018, 133 graduates of the Yale Law School have held Liman Fellowships. During the past few years, the Liman Center has worked on projects related to incarceration and the challenges of the justice system for individuals with limited resources. The Liman Center has joined with the Association of State Correctional Administrators (ASCA) to do a series of reports on solitary confinement, in which prisoners are held for 22 hours or more in their cells, for 15 days or longer. In 2013, ASCA and Liman documented the rules governing isolation and showed how easy it was to be sent to segregation. In 2015, ASCA and the Liman Center co-authored Time-in-Cell: The ASCA-Liman 2014 National Survey of Administrative Segregation in Prison. The report was the first to provide updated information, as of the fall of 2014, on both the numbers of people (80,000 to 100,000) and the conditions in solitary confinement nationwide. In 2016, Liman and ASCA co-authored Aiming to Reduce Time-In-Cell: Reports from Correctional Systems on the Numbers of Prisoners in Restricted Housing and on the Potential of Policy Changes to Bring About Reforms. Like the prior report, this monograph provides the only current, comprehensive data on the use of isolation—on the 66,000 or more in segregation, some 6,000 people were held under such conditions for more than three years. The report also documents efforts across the country to reduce the number of people so confined and to reform the conditions, so as to limit the degree of deprivation and to improve safety for prisoners, staff, and communities at large. A 2018 report, Reforming Restrictive Housing, will be available in the fall of 2018. The Liman Center has also produced a volume, Who Pays? Fines, Fees, Bail, and the Cost of Courts, which examines the economic challenges that courts and their users experience, the constitutional law framing obligations to provide access to justice, the litigation challenging “court debt,” and the efforts of judiciaries to change their use of fees and fines. Professor Resnik has chaired the Sections on Procedure, on Federal Courts, and on Women in Legal Education of the American Association of Law Schools. She is a Managerial Trustee of the International Association of Women Judges. Professor Resnik served as a founder and, for more than a decade, as a co-chair of Yale University’s Women Faculty Forum, begun in 2001. Professor Resnik is also an occasional litigator; she argued Mohawk Industries, Inc. v. Carpenter, decided in 2009 by the United States Supreme Court; and the decision, decades earlier, about admission of women to the Rotary Club, and she also has provided amici filings to the Court in areas related to her expertise. 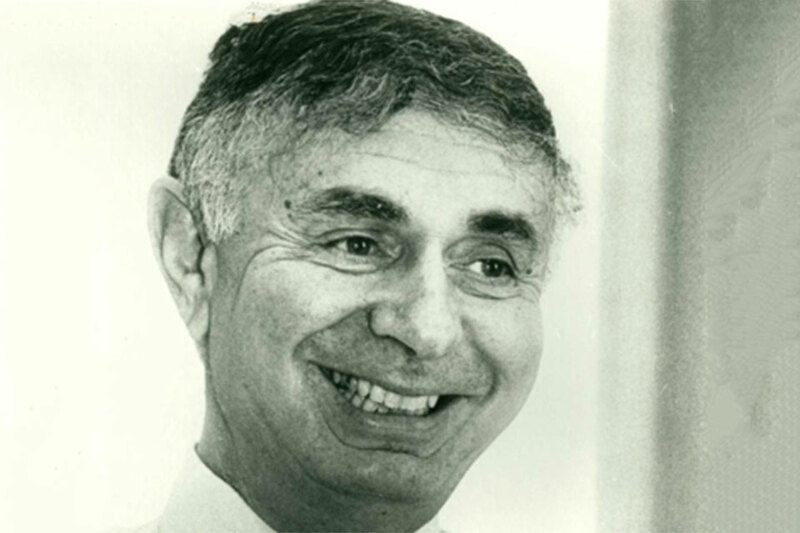 Professor Resnik has testified before Congress, before rulemaking committees of the federal judiciary, and before the House of Commons of Canada. From 2014 to 2016, Professor Resnik was a Phi Beta Kappa Visiting Scholar, travelling to various liberal arts colleges in the United States. In 2015, she was a visiting professor at Université Panthéon-Assas Paris II. In 2018, she received an honorary doctorate from the University College London. She also received an Andrew Carnegie Fellowship, a two-year award to enable her to complete her research and write her book, The Impermissible in Punishment. In 1998, Professor Resnik was the recipient of the Margaret Brent Women Lawyers of Achievement Award from the Commission on Women of the American Bar Association. In 2001, she was elected a fellow of the American Academy of Arts and Sciences, and in 2002, a member of the American Philosophical Society, where she delivered the Henry LaBarre Jayne Lecture in 2005. In 2008, Professor Resnik received the Outstanding Scholar of the Year Award from the Fellows of the American Bar Foundation. In 2010, she was named a recipient of the Elizabeth Hurlock Beckman Prize, awarded to outstanding faculty in higher education in the fields of psychology or law. That year, Professor Resnik also had a cameo role in the Doug Liman film, Fair Game. In 2013, Professor Resnik was given the Arabella Babb Mansfield Award, the highest honor presented by the National Association of Women Lawyers. In 2017, she was honored by former Liman fellows with the establishment of the Resnik-Curtis Fellowship in Public Interest Law. Her books have also received appreciation for their contributions. In 2011, Representing Justice was selected by The Guardian as one of the year’s “best legal reads;” in 2012, by the American Publishers Association as the recipient of two PROSE awards for excellence in social sciences and in law/legal studies, and by the American Society of Legal Writers for the 2012 SCRIBES award. In 2014, Representing Justice won the Order of the Coif award, presented every two years in recognition of a book’s outstanding contributions to legal scholarship. 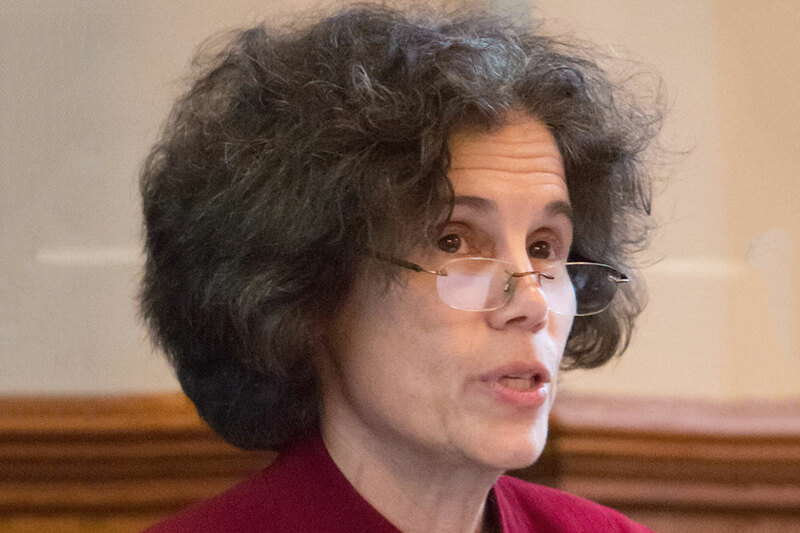 Arthur Liman Professor of Law Judith Resnik is quoted in a story about a bill before the Connecticut state legislature that would eliminate the use of solitary confinement for all youth and adult inmates. Arthur Liman Professor of Law Judith Resnik is quoted in an article about recommendations by the Judicial Conference of the United States on the number of judges needed nationwide. Arthur Liman Professor of Law Judith Resnik was among the experts who spoke at a public briefing at the U.S. Commission on Civil Rights on February 22, 2019. The Association of State Correctional Administrators (ASCA) and the Liman Center at Yale Law School released two new reports on solitary confinement. Arthur Liman Professor of Law Judith Resnik is quoted in an article about judges who are tracking settlements in the wake of class action rulings. 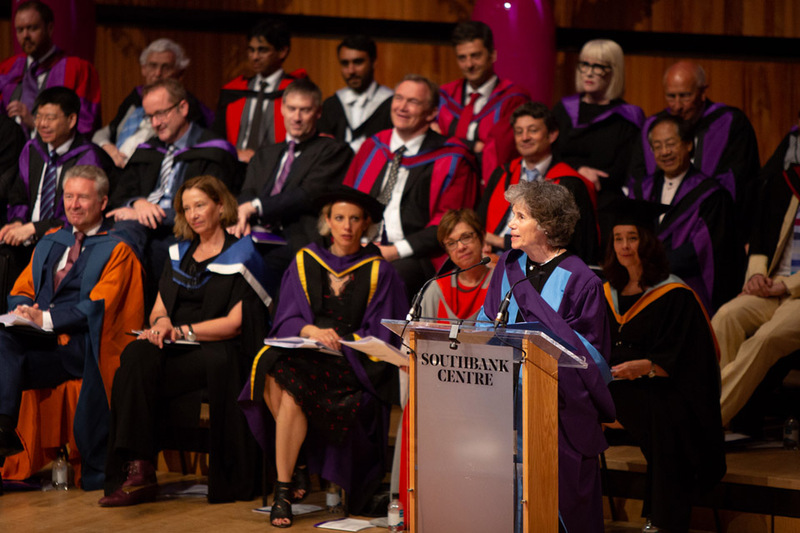 Professor Judith Resnik received an honorary doctorate of laws from UCL on July 3, 2018. The 2018 Liman Center Colloquium, Who Pays for Courts?, took up the many issues raised by court and litigant financing. Arthur Liman Professor of Law Judith Resnik is quoted in an article on the use of mandatory arbitration clauses at law firms. Arthur Liman Professor of Law Judith Resnik is quoted in a story about the decision by the Supreme Court regarding employee rights arbitration and how it could affect various class actions. Arthur Liman Professor of Law Judith Resnik and her Carnegie Fellowship are discussed in an article. On April 25, 2018, Professor Judith Resnik was selected as a member of the 2018 class of Andrew Carnegie Fellows, awarded to support innovative scholarship on pressing contemporary issues. Arthur Liman Professor of Law Judith Resnik is quoted in an article about the naming of federal judges in Florida. Arthur Liman Professor of Law Judith Resnik is quoted in an article about President Trump’s nominations of federal court judges. 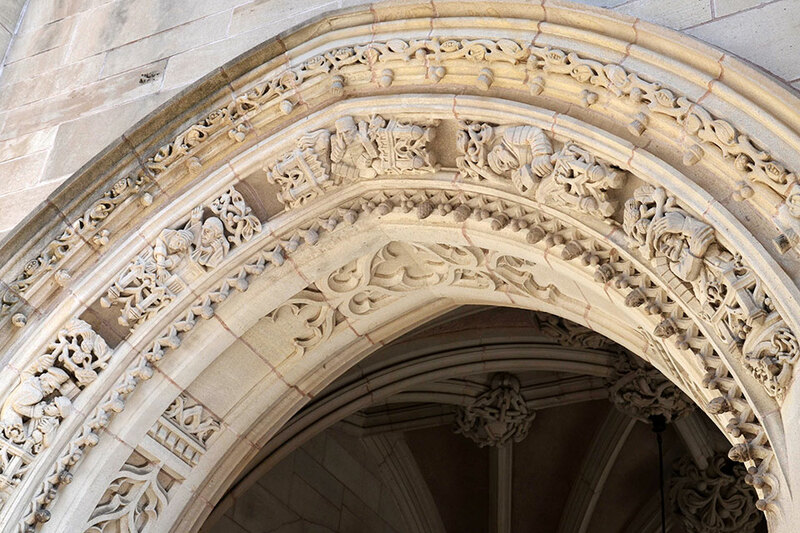 This fall, Yale Law School’s new cohort of faculty includes two members of the Liman community, Marisol Orihuela, a 2008–2009 Liman Fellow, and Monica Bell, a 2010–2011 Liman Fellow. Arthur Liman Professor of Law Judith Resnik is quoted in an article on efforts to reform how the U.S. federal prison system treats women. A study by the Liman Center and the Association of State Correctional Administrators is cited in a feature article about solitary confinement. A new fellowship honors Professors Judith Resnik and Dennis E. Curtis ’66 for their commitment to public interest law. A study conducted by the Liman Program is mentioned in a story about pushback to New York State reforms in the use of solitary confinement. Arthur Liman Professor of Law Judith Resnik is quoted in an article about the potential for President Trump to shape the federal judiciary. Arthur Liman Professor of Law Judith Resnik was interviewed about Donald Trump’s executive order regarding federal immigration law. Arthur Liman Professor of Law Judith Resnik is quoted in an article on the racial disparity among those in solitary confinement across the country. Arthur Liman Professor of Law Judith Resnik was interviewed about Aiming to Reduce Time-In-Cell, a report by the Association of State Correctional Administrators and The Liman Program about the effects of solitary confinement. Arthur Liman Professor of Law Judith Resnik is quoted in an article on Aiming to Reduce Time-In-Cell, a report by the Association of State Correctional Administrators and The Liman Program about the use of solitary confinement. Similar coverage appeared in The Atlantic. Arthur Liman Professor of Law Judith Resnik gave a talk on the Newton Campus about prison reform. Arthur Liman Professor of Law Judith Resnik is quoted in an article about a Los Angeles County plan to restrict the use of solitary confinement for juveniles in detention there. A report co-authored by the Arthur Liman Public Interest Program is cited in an article about solitary confinement. Arthur Liman Professor of Law Judith Resnik, Sonia Sotomayor ’79, and Katherine Kimpel ’06 are included in a list of women in law working toward social justice. Devon Porter ’15 is quoted. Time-In-Cell, a report by the Association of State Correctional Administrators and the Liman Public Interest Program, is cited in an article about solitary confinement. Time-In-Cell, a report by the Association of State Correctional Administrators and the Liman Public Interest Program, is cited in a commentary by President Obama about solitary confinement. Arthur Liman Professor of Law Judith Resnik is quoted in an article about new rules regarding civil litigation. Time-in-Cell, a report by the Association of Prison Administrators and The Liman Program, is referenced in an article about the effects of solitary confinement. Arthur Liman Professor of Law Judith Resnik and Hope Metcalf, Executive Director of the Orville H. Schell, Jr. Center for International Human Rights are quoted in an article about the use of solitary confinement in prisons. Arthur Liman Professor of Law Judith Resnik is quoted in an article about court fines. 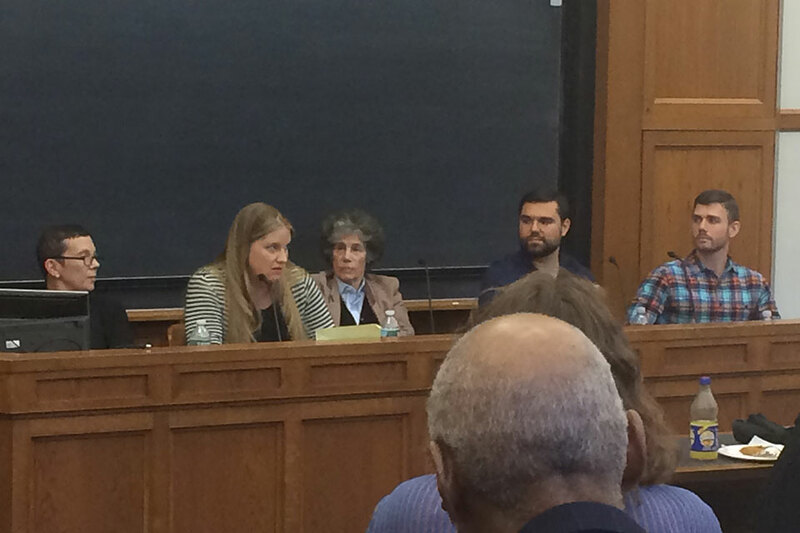 Arthur Liman Professor of Law Judith Resnik and Dwayne Betts ’16 were guests and discussed a recent legal victory by California prisoners opposed to solitary confinement. Arthur Liman Professor of Law Judith Resnik is quoted, and the Arthur Liman Public Interest Program is mentioned in a New York Times article about a report released by the Association of State Correctional Administrators and Liman Program that calls for limiting solitary confinement. New Yale Survey Estimates Nearly 100,000 in Solitary Confinement in the U.S.
Arthur Liman Professor of Law YLS professor Judith Resnik was interviewed and discussed the report on solitary confinement released by the Arthur Liman Public Interest Program and the Association of State Correctional Administrators. Arthur Liman Professor of Law Judith Resnik is quoted, and the Arthur Liman Public Interest Program is mentioned in an article about a report released by the Association of State Correctional Administrators and Liman Program that calls for limiting solitary confinement. Robert Ferguson is a law professor at Columbia University, Judith Resnik is the Arthur Liman Professor of Law at Yale Law School, and Margo Schlanger ’93 is a professor at the University of Michigan Law School. Amy Kapczynski ’03 is an Associate Professor of Law at Yale Law School and director of the Global Health Justice Partnership and Judith Resnik is the Arthur Liman Professor of Law at Yale Law School. On March 2, 2015, the Arthur Liman Public Interest Program at Yale Law School submitted a statement to the Charles Colson Task Force on Federal Corrections. Judith Resnik is the Arthur Liman Professor of Law at Yale Law School; Alexandra Brodsky ’16 and Claire Simonich ’16 are students at Yale Law School. The Phi Beta Kappa Society has selected Judith Resnik, the Arthur Liman Professor of Law at Yale Law School, as a 2014-2015 Visiting Scholar. Professors Judith Resnik and Dennis Curtis ’66 have been selected as winners for the Order of the Coif Book Award for their work, Representing Justice. The Arthur Liman Public Interest Program at Yale Law School has published research on policies that govern isolation in state and federal prisons. Professor Judith Resnik will receive the Arabella Babb Mansfield Award from the National Association of Women Lawyers for her professional achievement and contribution to the advancement of women's interests under the law. Working with the Association of State Correctional Administrators, Yale Law students have produced a fifty state survey of prison visitation policies. 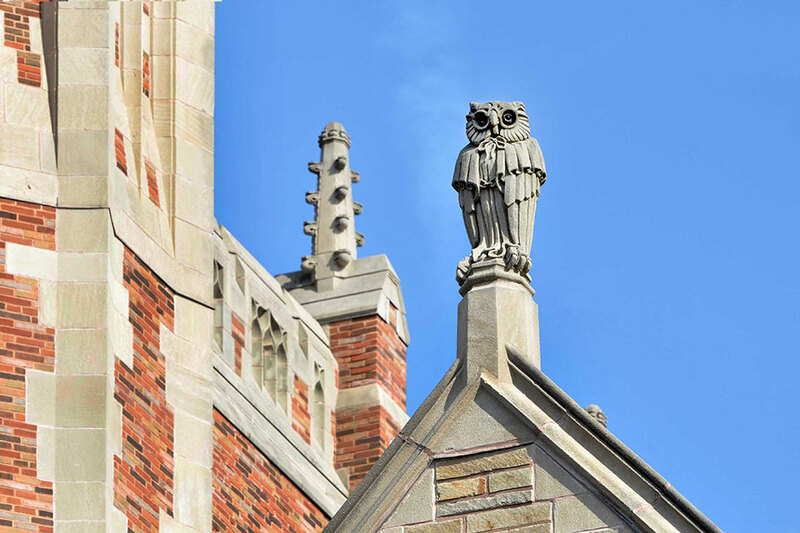 Yale Law School professors Judith Resnik and Dennis Curtis will present the annual lecture for the Supreme Court Historical Society on June 4. Movie producer Doug Liman honored his father, Arthur Liman, with a short film about his father’s career and commitment to public service at the fifteenth annual Liman Public Interest Law Colloquium March 1-2, 2012. “Representing Justice,” by Yale Law professors Judith Resnik and Dennis Curtis ’66, has won two PROSE awards and has been recognized as an outstanding academic title by Choice Magazine. Yale Law Professor Judith Resnik and U.S. Supreme Court Justice Ruth Bader Ginsburg took part in the re-enactment of a 19th century Supreme Court case at the Ninth Circuit Court of Appeals’ 2011 Judicial Conference. Arthur Liman Professor of Law Judith Resnik has been named recipient of the 2010 Elizabeth Hurlock Beckman Award. 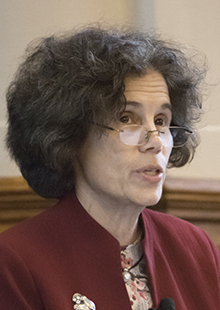 Arthur Liman Professor of Law Judith Resnik testified on September 29 before a subcommittee of the House Judiciary Committee about access to courts and the under utilization of the federal courts. Yale Law School Professors Judith Resnik and Bruce Ackerman joined with their colleagues David Cole, Georgetown University Law Center, Rosa Ehrenreich Brooks, University of Virginia School of Law, and Deena Hurwitz, University of Virginia School of Law, to circulate a statement that was signed by 450 law professors around the country urging the Supreme Court to grant review of Hamdan v.
On Wednesday, September 14, 2005, Yale Law School will host a discussion of the future of the U.S. Supreme Court, titled "The Roberts Nomination: What's at Stake?" The talk will start at 12:10 p.m. and run until 1:30 p.m. in Room 127.